I'm serving up California Dreaming by taking you to local wineries, farms, breweries, and surf points in my VW bus that has been restored to its 1970s glory in Santa Cruz, California. Good times guaranteed. 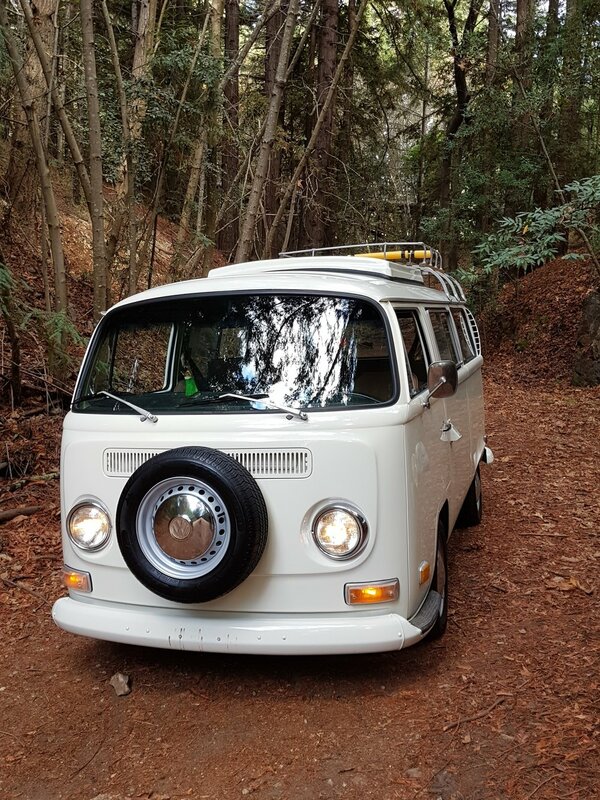 I provide a designated driver to your unique experience touring the surrounding Santa Cruz vineyards, breweries, surf points, or natural picnic areas in a 1971 Volkswagen Type 2 Transporter bus. You may choose from our set routes, or create your own route based on your interests whether it's kayaking, surfing, brews or wines. Birthdays, promotions, or special announcement tours can also be arranged. I will pick you up from your hotel or residence within Santa Cruz. We tour at least 3 destinations spending 3.5 to 4 hours' time depending on your schedule constraints. A light lunch for you is also included; all other food, beverages, or item purchases will be your responsibility at each destination. You may choose from items below in each category. Just let me know, and it will be ready for you on your trip. Most of the destinations will allow picnics. Bring your camera, good cheer, and your personal selection of music to listen to while we explore Santa Cruz. How to order: simply select your items from below and provide me your four number order code (e.g., 1,3,2,2) and I will provide enough servings for everyone in your party. aubergine, squash, carrots, mushrooms, seasonal veggies, olive oil, salt, pepper. Not much else to say here. They're Big Green Olives. carrot, peppers, onion, cucumber, etc. Hot, medium, or delicate. Locally made.